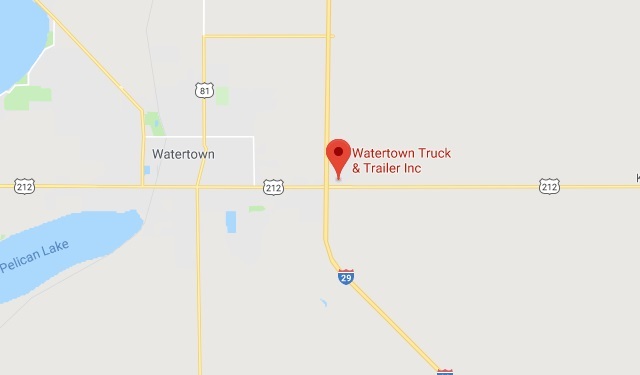 Watertown Truck & Trailer, Inc. | Sioux Falls, SD | North American Truck & Trailer, Inc.
Our Watertown, SD dealership offers new and used commercial, heavy, and medium duty trucks and trailers. We have access to over 400 trucks and trailers from our family of dealerships spanning 4 states. Our Truck Parts Department has access to over $7,000,000 in inventory. The highly-trained Service Department can work on many makes and models of trucks and engines. Road-side two service is available 24-hours a day. Just pick up the phone and give us a call!